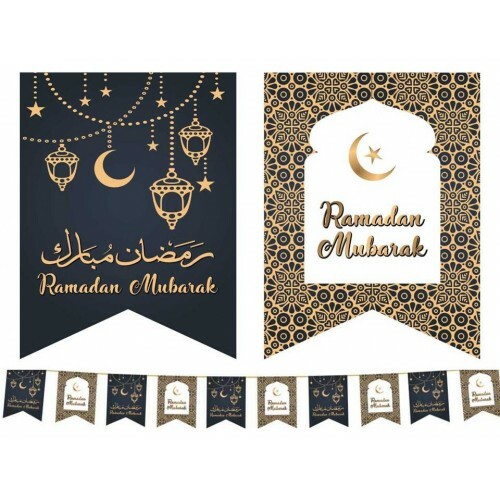 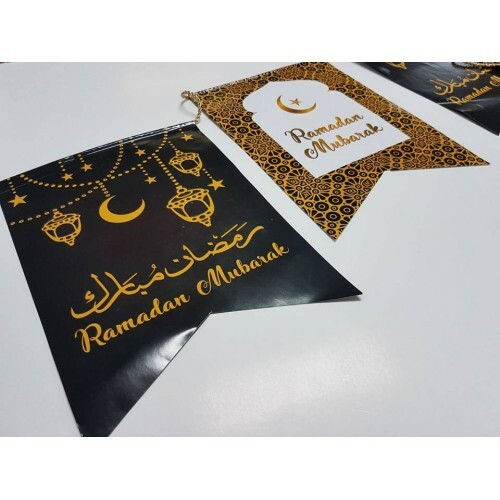 Inspiring Black & Gold Ramadan Mubarak Flags, that will uplift any occasion. Bring a classy feel to your Iftar dinner with these Pack of 10 flags. 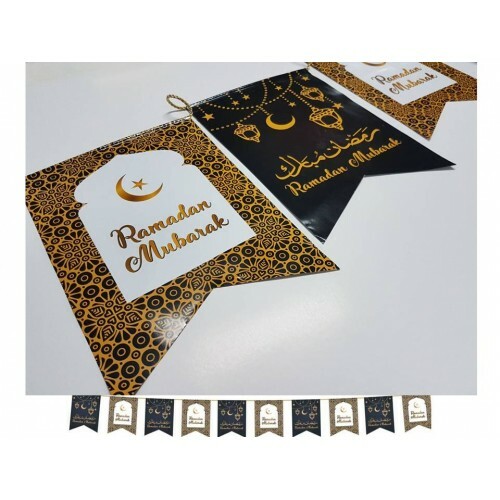 With its Gold hanging chains & lanterns, they will look perfectly matched with the Black & Gold Ramadan Mubarak Double Banner.